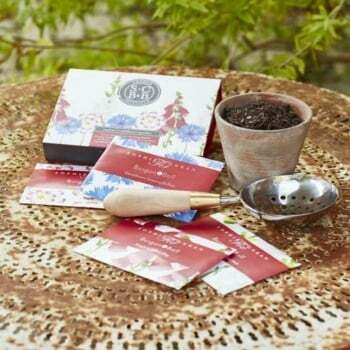 This beautiful gift box of wildflower seeds from Ruddick Garden Gifts has been specially designed by Sophie Conran and is the Gift of the Year 2016. The box contains 4 packs of wildflower seeds - antirrhinum, cornflower, cosmos and foxglove giving you colour and beauty throughout the summer. This would make an ideal present for anyone who loves their garden.